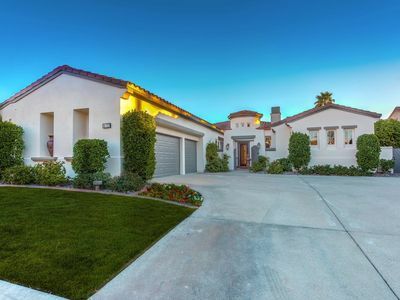 Located in the Legends residential division of PGA West, your luxurious getaway features 3 bedrooms, 3 1/2 baths. 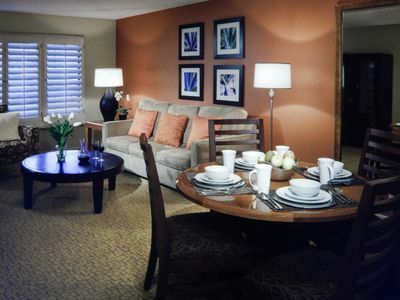 Offering a saltwater pool, jacuzzi and a stocked games cabinet, there is something for everyone to enjoy. 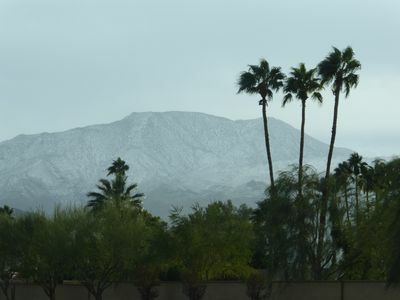 Old town La Quinta, awesome hikes and Joshua Tree are nearby. Upon entering the Legends development, you’ll notice a stunning waterfall, majestic palm trees and friendly gate guards to greet you. The drive to your getaway will bring close to hole #4 on the Weizkopf course. You”ll notice you start to relax immediately. 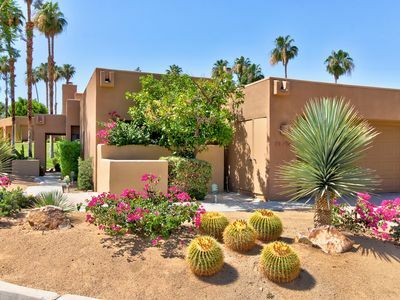 Upon entering your retreat, you cannot help but notice the luscious green fairways through the wall to wall windows, which can offer a gentle breeze. 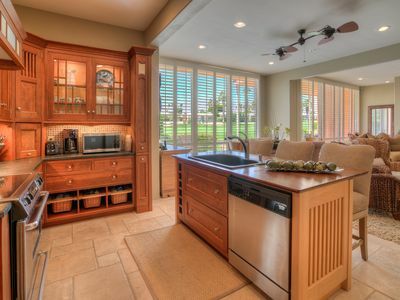 The fully appointed kitchen offers granite countertops, stainless steel appliances ready for you to use. A stainless grill is also available, if you prefer to cook outside. 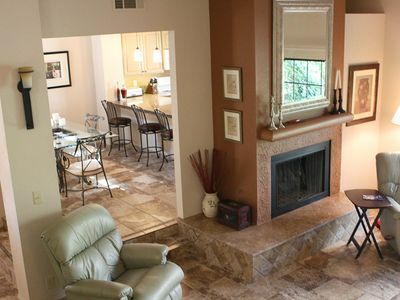 The living room is a perfect place to watch your favorite televion program with friends and family. A large sofa and wet bar makes the perfect gathering spot, and an added feature for the the television is cable and Roku. 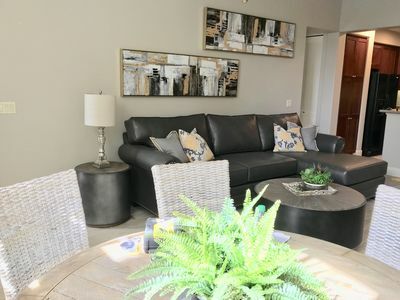 Just off the living room is a half bath and your master suite, which offers a comfortable and cozy king size bed, complete with cable television for your enjoyment. Your master bathroom has double sinks, a massive soaker bathtub, private toilet, a walk-in shower and a huge master closet. Down the hall is a second bedroom which includes two queen size beds and a full en suite. 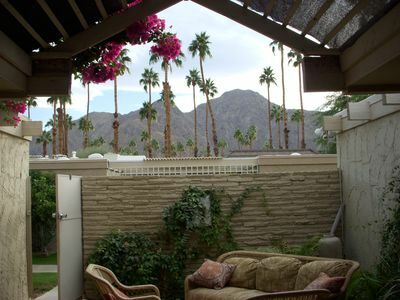 The casita, separate from the main house, has a private entrance. 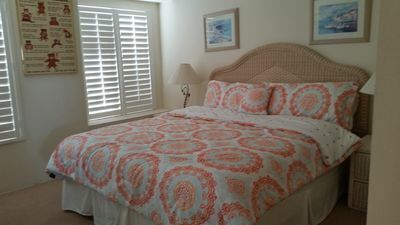 It also offers a queen size with an en suite. 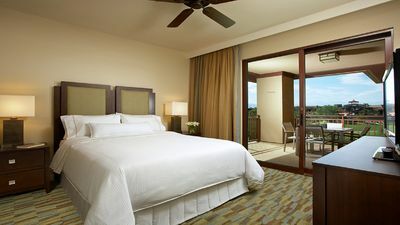 Your retreat includes all the amenities of home such as hotel quality linens, pool towels, hair dryers in each of the guest rooms. Looking for something to do besides golf? 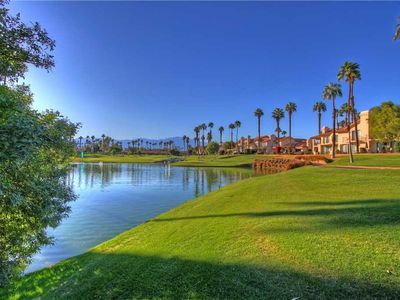 You can pamper yourself with a spa treatment at La Quinta resort, or if you prefer shopping then a short drive on Highway 111 to Palm Desert and you’ll find sophisticated shopping along El Paseo. On any Saturday, you can visit the College of Desert for an amazing outdoor street fair. 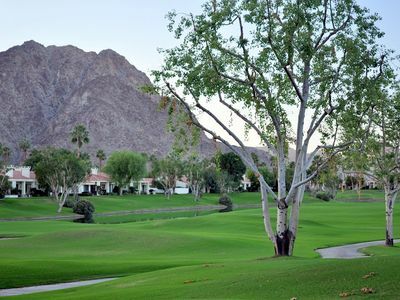 If shopping is not your thing and the outdoor is what you like, then pack a picnic and head to Joshua Tree. Stunning rock formations and athletic rock climbers make for a fun day. 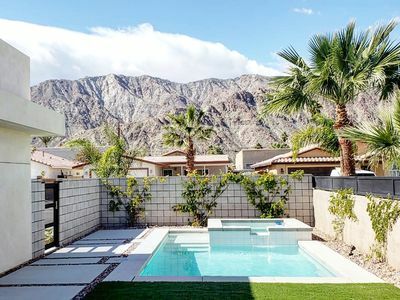 Hurry Oct, Nov, Dec 2018 Available - Jan-Mar 31st Booked! $6250 mo. 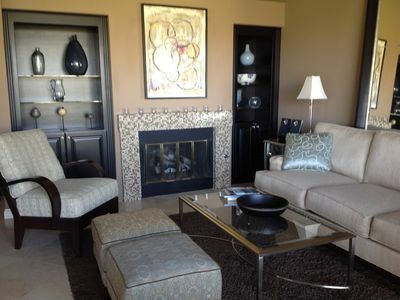 Luxury Large Condo,west Mountain Views On Golf Course-walk To El Paseo! 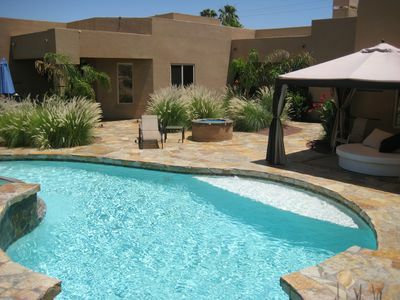 California Paradise Detached Casita/Guest House, Huge Pool, BBQ, Plenty of Parking!!! 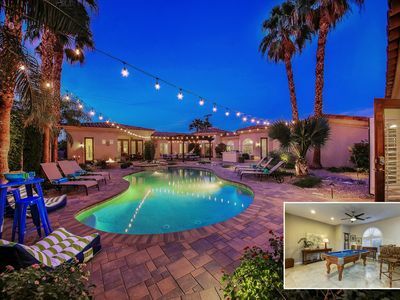 Cathedral City Home w/ Heated Saltwater Pool! NEW! 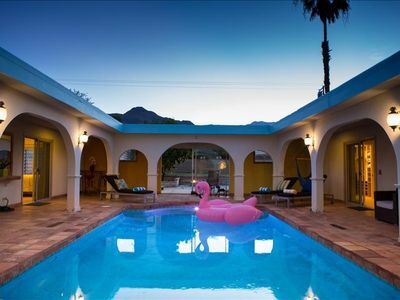 La Quinta Hacienda w/ Mountain Views & Pool! 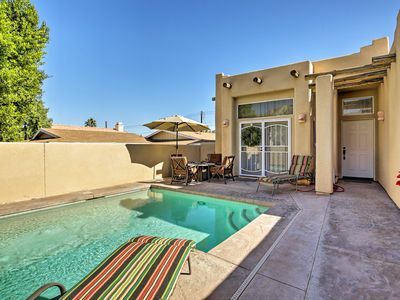 Your bedroom patio view is the main pool at this 2 bdr newly renovated villa!